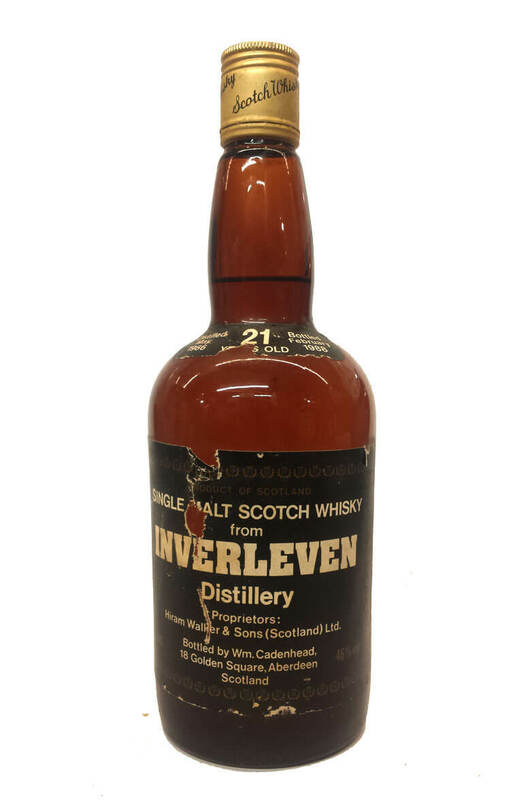 Inverleven was a very interesting distillery that was originally formed for the sole purpose of making whisky for blending. The distillery did not really exist as a seperate entity it was more like a back up malt distillery within the huge Dumbarton grain distillery. When this whisky was made Inverleven was using a pot still and also a 'Lomond' still with a rectifying column in its neck. Part of these stills are now destined to form the pot stills at Mark Reynier's new Waterford Distillery in Ireland. They will however be slightly remodelled at Forsyth's in Scotland first. Distilled in May 1966 and bottled in February 1988 at 46%.